This is the sixth in a weekly series. Links to earlier installments are at the end. Cross-district busing, a volatile issue in metro Detroit during the early 1970s, came to a head in the case of Milliken v. Bradley. 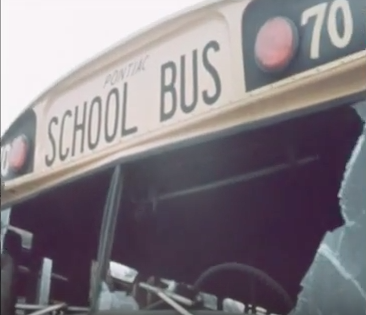 Two federal court orders mandated the forced busing of children to remedy segregation. The reaction: The KKK dynamited 10 parked buses in Pontiac in August 1971, days just days before the integration plan went into effect.. Thousands took to the streets.